AWS held an IoT Contest July 13-17 2017, and this describes my entry (which won! Woohoo!). You can see a video description of this project here. You can also see the page on hackster.io here. This project provides integration between Home Assistant, AWS IoT, and low power devices running on the ESP8266. Â The ESP8266 has many firmwares, which provide additional functionality for devices like the Sonoff or MagicHouse LED Controllers. Most of these firmwares, however, don’t provide the ability to speak encrypted MQTT with client certificates, which is required by AWS for security. During the contest, Jan Metzner from AWS made me aware of the MongooseOS Project, which can handle certificates. Using firmwares like this would let you use encrypted MQTT; however, I haven’t found a single firmware like Tasmota or Espurna, which allows for this out of the box. The easiest, secure option is to use the WiFi encryption in the local network, and speak locally to a gateway via unencrypted MQTT, and then on a beefier raspberry pi send the communication to AWS for processing. The rest of this post will describe how I setup AWS and the Mosquitto gateway locally. My goal is to learn AWS, as well as have a single central location for all my home automation logic. I originally didn’t have “tls_version: 1.2”, which resulted in the error “ssl.SSLError: [SSL: WRONG_VERSION_NUMBER] wrong version number”. Adding “tls_version: 1.2” resolves this error. As an alternative to RDS, you can simply install MySQL/MariaDB or a database of your choosing on the EC2 system where Home Assistant is running. 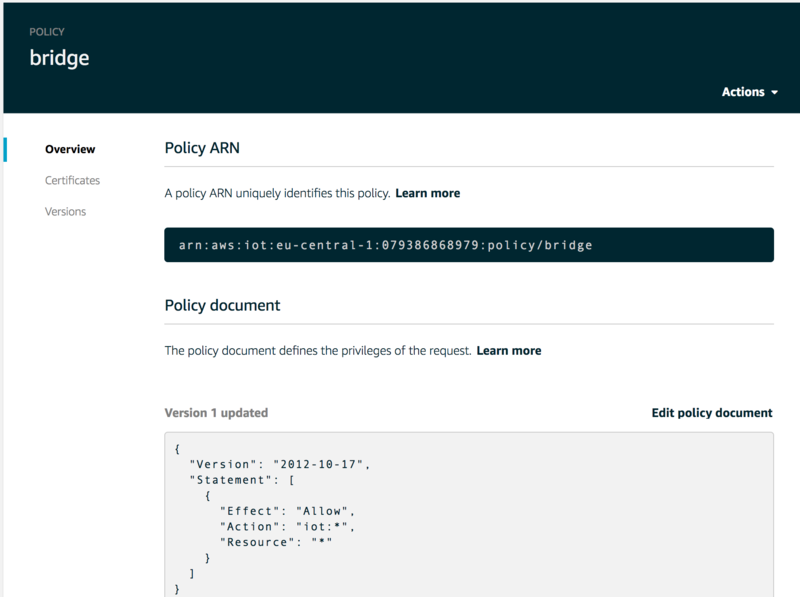 At this point, the Raspberry Pi in my local network is setup and connected to AWS IOT Gateway, and Home Assistant is running in EC2 and also connected here to perform actions. 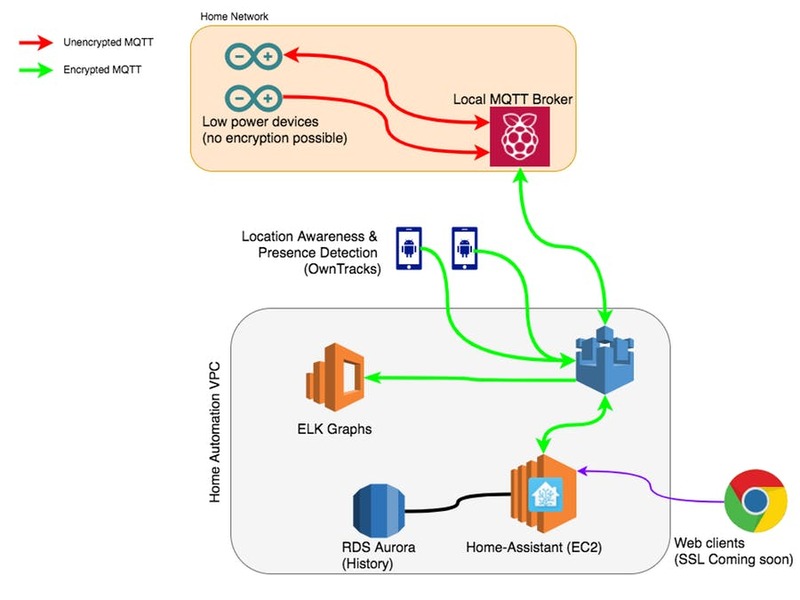 I initially thought that delays in the network would slow down the automation actions; however, I haven’t noticed a difference between the on-site Home Assistant and the one running in AWS. My next steps will be to try to implement GreenGrass, so in case my internet connection at home fails, I still have some basic automation functionality and caching for when the clouds return.